Karrie-Lynne, just like so many of the clients we see every day, was living a sedentary lifestyle without any physical activity or proper nutrition. She was completely consumed by her fast-paced and constantly on-the-go life. Between her early work shifts, shuttling her 8 children between school, hockey games and soccer practices, and preparing three meals for nine hungry mouths every day, she didn’t even have a thought to spare for herself or her health. And as I’m sure you’ve seen with so many others, her body suffered because of all this neglect. As her family, workload, and hectic schedule grew, so did her weight. Before long, the negative impacts of her poor health began to spread, affecting every aspect of her life. She was embarrassed by how she looked and of what others might think about her. She spent her free time exhausted and inactive; she spent each day feeling tired, lazy, and uncomfortable in her own skin. Then she found Fit Body Boot Camp. 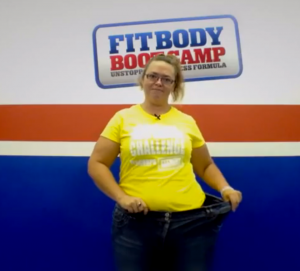 The support, the tools and the resources offered at Fit Body Boot Camp helped her lose more than 100 pounds. The Afterburn workouts, combined with individualized training and nutritional guidance, provided everything she needed to accomplish this incredible transformation. 1. Dynamic, diverse, and challenging workouts that change daily. 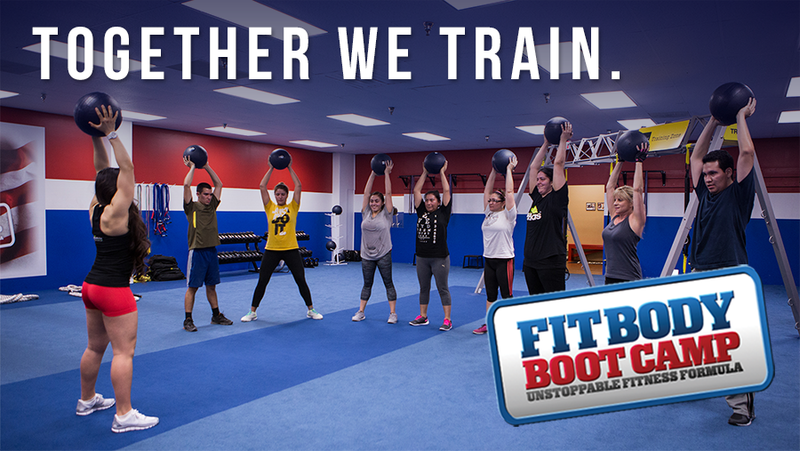 Developed by a team of expert professionals at the corporate headquarters, Fit Body Boot Camp’s workouts guarantee results. 2. A complete and proprietary nutrition system with books, ebooks, downloads, guides and blogs designed to help anyone permanently change their eating habits without counting calories, starving, or suffering without flavor. 3. Invaluable owner resources—such as coaching, marketing tools, guidance and live events—that can help owners deal with any situation and difficulty so that clients always have everything they need to achieve results. 4. An inviting and upbeat atmosphere, carefully crafted to remain consistent across hundreds of locations, that encourages camaraderie, friendship and dedication to the program. 5. Branded gear, swag and clothing that provides clients with the sense of belonging to a fitness family. Sporting FBBC gear is like boasting about their accomplishments, which only encourages clients to work harder for even better results. 6. A globally recognized brand that instils confidence within clients, assuring them that Fit Body Boot Camp is indeed the best fitness option for anyone seeking health, energy, and a complete body transformation.